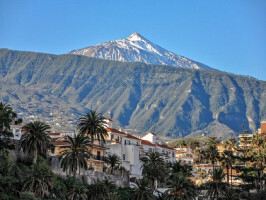 This full-day tour will show you some of the best attractions the magical island of Tenerife has to offer. 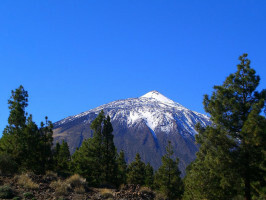 Climb to the National Park of the Cañadas del Teide with its desolate lava fields and unworldly landscapes. Visit the pretty town of Icod de los Vinos with its thousand year old Dragon tree and then admire the isolated settlements of Garachico and Masca in the unspoilt northwestern corner of the island. Escape the hustle and bustle of the resort and embark on an incredible panoramic drive through four different climate zones as you head for Mt. Teide, stopping in Vilaflor for coffee on the way. This magical mountain, standing at a height of 12,000ft (3720m), looms over the whole island like a protective deity. The landscapes here are like something from another planet, all rocky ridges, desolate lava fields and rocks of un-imaginable hues. Next, descend through the lush valley of La Orotava, heading for the pretty small town of Icod de los Vinos. This settlement is famous for its thousand year old Dragon tree, with blood red sap and magical healing properties. Continue on to Garachico. 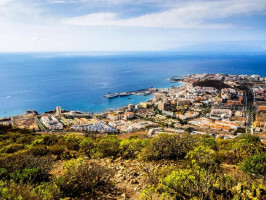 This charming fishing village with its cobbled streets and sunny squares was once one of the foremost trading towns in the Canary Islands until its destruction by an earthquake in 1706. Enjoy some free time to explore the area, grab yourself a souvenir or even visit one of the local restaurants for lunch (not included). The final stop before returning to the resort is the picturesque village of Masca. Tucked away amidst lush mountain slopes, 700 metres above sea level, this fairytale village consists of a scattering of higgledy piggledy houses perched on a series of volcanic ridges overlooking the wild Atlantic Ocean far below. 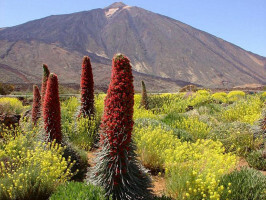 No visit to Tenerife is complete without visiting Mount Teide. With stunning scenery and landscapes, this tour is a feast for the eyes! Pick-up between 8am and 9am. Drop-off between 6pm and 7pm. Recommended : In winter, warm clothes.Not recommended for people with heart problems.